Over the years, we have been fortunate enough to have great clinicians such as Joe Fargis, Katie Manahan Prudent, and Julio Mendoza as well as local favorites such as Mehdi Kazemi and Robin Wyman. 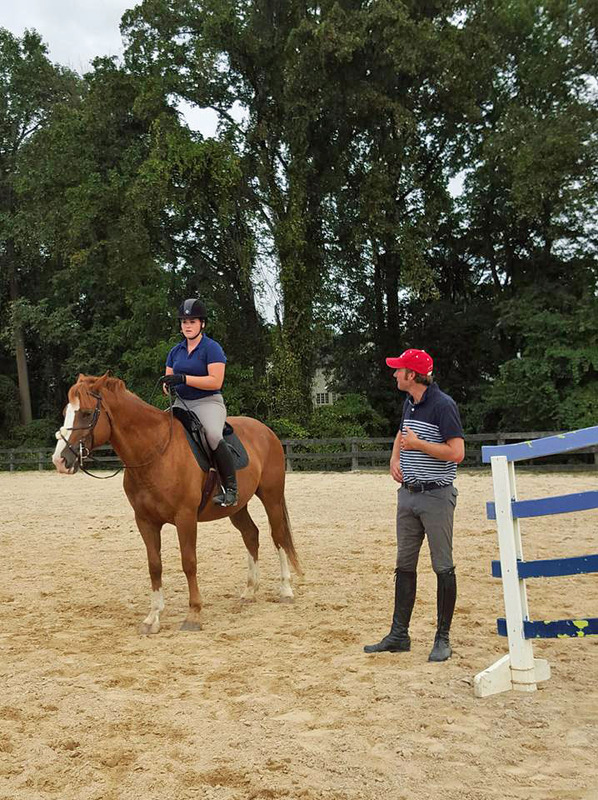 Whether you are interested in a "Fix it" test with Trisha DeRosa or cross country schooling with Dan Clasing, we offer several clinics in dressage, equitation, jumping, and eventing. We have highlighted just a few well respected professionals that offer their services at Columbia Horse Center. Looking to participate in one of our clinics? Dates are constantly added to the schedule throughout the year. Stay posted by following our calendar or joining our Clinics Email List. $75 per person, maximum 4 per group. 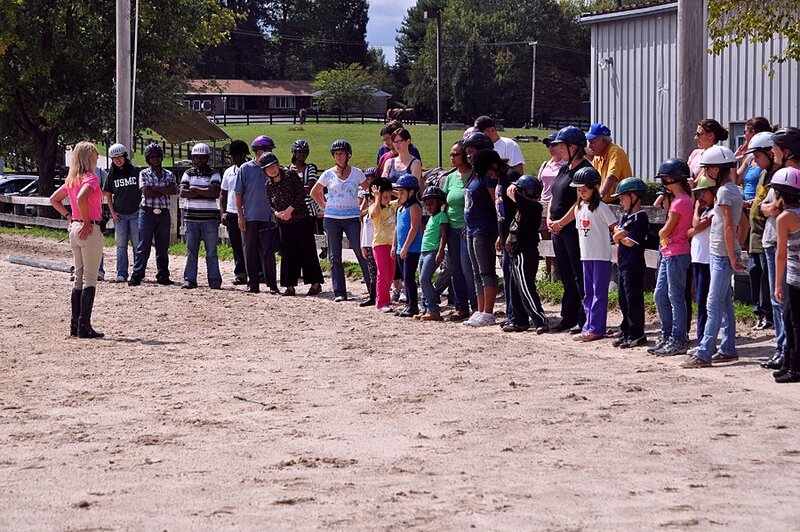 Cindy started a horse business teaching, riding showing. Horsemen she works with and considers mentors are Joe Fargis & Marlene Allen. Expanding the farm she is now hosting 10 local hunter/jumper shows a year plus winter shows at local indoors. As a USEF registered "R" judge in hunters, hunter equitation and jumpers since 1993, she officiated at the Winter Equestrian Festival, Devon, Upperville, WIHS Regional, Toronto Canada, Maui Hawaii, KY Horse Park, Lexington VA, GA International Horse Park, Pinehurst NC, Ledges & Lamplite, IL, Camden & Aiken SC, Eric Co NY. Auditors welcome. Limited spots available. Trailer-in's welcome. Dan got his start in eventing at a young age in Maryland under the tutelage of Ann McKay. 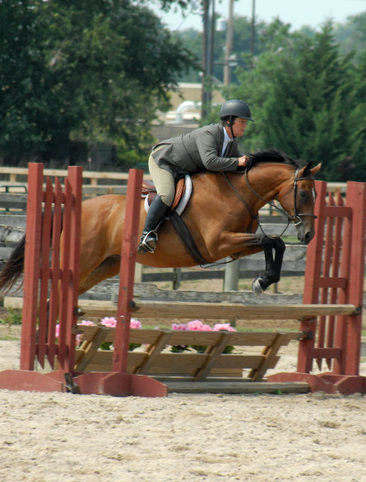 She also bred both of his advanced level event horses, Yardley and Houston. 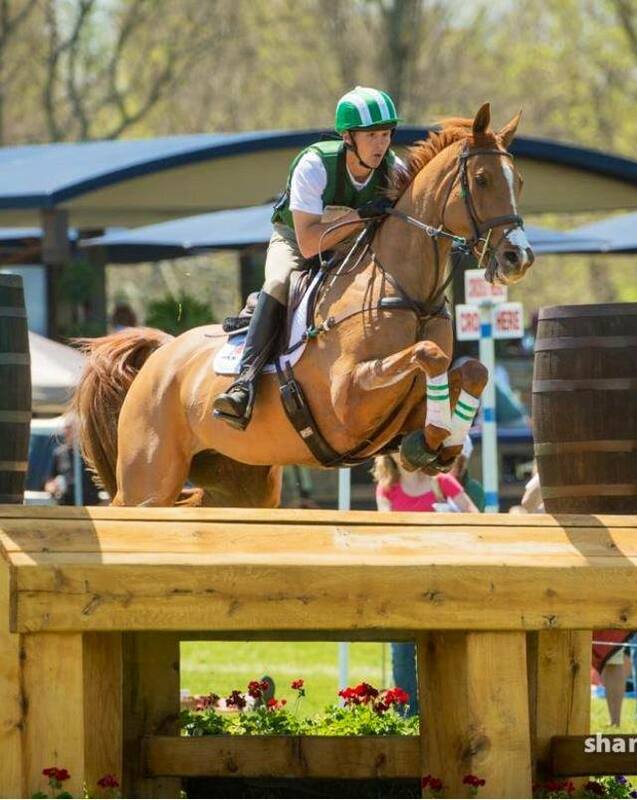 He started eventing seriously at the age of 13, training with Packy McGaughan and with Phillip Dutton since 2003. His early career highlights include winning the 2002 Virginia CCI*, Team Bronze at the NAYRC CCI*, and a solid Intermediate and Advanced campaign with Yardley. He received a Bachelor’s Degree in Animal Science from the University of Delaware, competing throughout his undergraduate career while based in Unionville, PA. Dan opened his training business at Yardley Hill Farm in 2007, enjoying a return to Maryland. Several strong seasons at the Advanced level with his horse Houston, a 17 h TBx gelding, culminated in a 21st place finish at the 2013 Rolex Kentucky **** going double clear cross country. He and Houston kicked off 2014 with two runs at Pine Top with the goal of another run at Rolex in April. 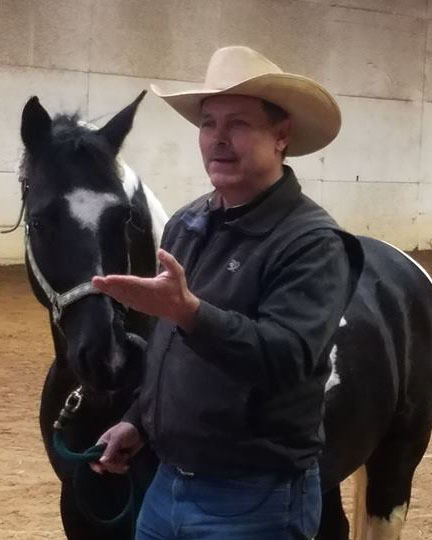 Dan is proud of the fact that he has brought all of his horses up the levels, usually doing the saddle breaking and continuing the education all the way to the top of the sport. Auditors welcome. Limited spots available. Trailer-ins welcome. 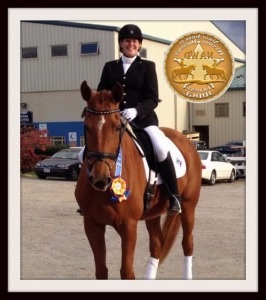 Over 25 years of experience in the equine industry, Evelyn is a USDF "L" graduate with a lifetime of achievements including a Bachelor of Science degree in equestrian studies with teacher/trainer emphasis from Lake Erie College in Painsville, Ohio, USDF Gold, Silver, and Bronze medals as well as Gold, Silver, and Bronze Musical Freestyle Bars, Positive Riding Instructor Module 1 graduate, and Member of the USDF, USEF, and International Equestrian Organization. Prior to western dressage, Evelyn has ridden and trained classical dressage and has experience with 3-day eventing, hunter/jumper, and western pleasure. 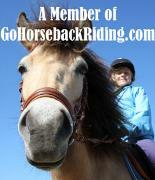 She has ridden and shown through to Grandp Prix and work with riders of any level. Julio Mendoza is an FEI International Trainer and Instructor, a USDF Bronze, Silver and Gold Medalist and is proud to be based in Maryland. Julio has been training horses for over 24 years in Dressage. Julio has competed in the International Cup held in South America 5 years in a row always placing in the top 5. In 2007 he finished 3rd at the SA Rolex with his 8 year old Hanoverian Gelding, Gramero. In 2010 Julio earned his USDF Silver Medal and also qualified for Dressage at Devon on two horses in the performance division. 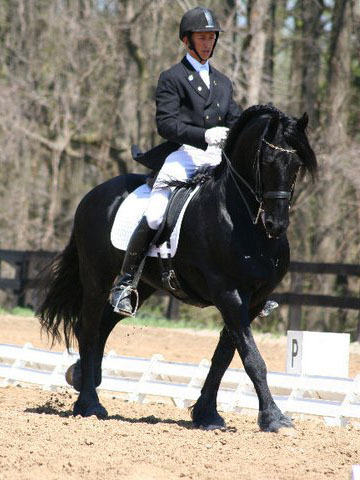 In 2011 he earned his USDF Bronze Medal and qualified for the 2011 Pan American Games held in Guadalajara, Mexico on the 9 year old Friesian Stallion - Ivan, owned by David Deal. In 2012, we had a great competition year! Julio and Ivan finished 4th Place in the NATION out of 221 horses for the USDF Horse of the Year Awards at Intermediate 1 level with an average score of 71.25% !! They also claimed the Champion title for the USDF All Breeds Awards for Intermediate 1 in the USA. At the CDI*3 Event - Dressage at Devon Julio and Ivan finished in 7th place at I-1 out of 36 competitors with a 67% and in 6th place in the I-1 Freestyle. At the Region 1 GAIG Championships, Ivan and Julio became the Reserve Champion at Intermediate 1 Level. In 2013, Julio earned his USDF GOLD MEDAL - aboard Ivan for their success at the highest level in Dressage, the Grand Prix. So Julio now carries all the USDF Rider Medals - Bronze, Silver and Gold. Julio also earned the USDF Gold Musical Freestyle Bar for their scores at both the Intermediate 1 and Grand Prix Freestyles. Ivan and Julio finished 11th in the NATION for the Grand Prix Freestyle with an average of 71.875%. They also were the Nation's USDF All Breeds Champion at Grand Prix Freestyle and Reserve Champions in the Grand Prix. Pretty good for their first year at Grand Prix! $90 per person for 1 hour semi-private. Marija is an extremely accomplished FEI dressage trainer well known in the PVDA. She has been an "L" program graduate since 2009 and is a Grand Prix rider that has been doing rated shows for nearly 25 years. Marija has earned her Bronze, Silver and Gold Medals. She has studied with Gunnar Ostergaard, Herbert Rhebein and Axel Steiner. Marija owns Exalt Farm in Harwood, MD. She developed and trained her own horse from Training Level to Grand Prix and has developed Amateur Training Level riders to Grand Prix. Marija teaches classical dressage using the Training Scale. A kind and honest instructor, Marija will give you the advice and encouragement you need to develop a better seat and more engaged horse. She always seeks to build on your strengths and your horses’ talents whatever the level. You will improve with every ride. Ryan Wood, a native of Australia, began riding and competing at eight years of age. Ryan and his horse, Countdown would develop from Pony Club, through the levels of the eventing world, and ultimately compete at the 4* level when both were nineteen years old. Ryan then competed at eventing’s top level with several other horses he brought up through the levels in Australia. Despite being very young, he achieved top placings at events, among them the Adelaide CCI****, Melbourne CCI***, Sydney CCI*** and Warwick CIC-W***. Ryan then spent a year working under the instruction of Eventing champion Guy Wallace while also gaining valuable experience starting youngsters and galloping racehorses. Ryan also trained and rode in Germany with Olympic Dressage trainer Norbert Van Laak, and with champion Show Jumpers Ludger Beerbaum and Ernst Hofschroer. In 2008, Ryan moved his business, Woodstock Eventing, to the United States. He worked for eventing legend Bruce Davidson before making a home for himself at fellow Australian native Phillip Dutton’s True Prospect Farm in Unionville, PA. After four years working for Phillip, Ryan now runs his own business out of True Prospect Farm and continues to train with Phillip. In addition to Ryan’s passion for riding, he enjoys seeing others succeed through coaching, lessons, and clinics. He takes great pride in developing horses and being a part of their journey, knowing that each horse has something unique to teach us.